Give High Class Street Music 3: Trappin Out A Mansion a spin - it's the latest tape from Young Dolph, having dropped on Tuesday, May 14th, 2013. Young Dolph's musical situation is improving with every new release, and High Class Street Music 3: Trappin Out A Mansion will most definitely help the cause. It's a fine addition to the growing body of work Young Dolph has been developing since stepping foot in the game. 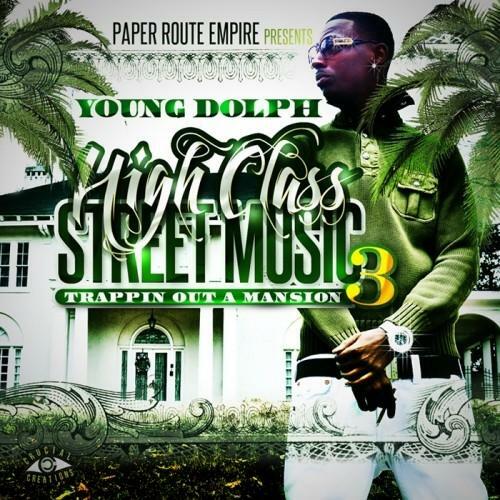 We're looking forward to what Young Dolph has in store. These artists are featured on the mixtape: Don Trip, Starlito) (Prod By Izze The Produce, 2 Chainz) (Prod By Drumma Boy), Young Scooter, Project Pat) (Prod By DJ Squee, Tim Gates) (Prod By Izze The Producer). The following producers contributed to the project: KE On The Track, Speaker Knockerz, Drumma Boy, DJ Squeeky, C Money. Make sure to visit our mixtape section to stream and/or download South Memphis Kingpin, a tape released by Young Dolph on Tuesday, October 15th, 2013. It features such cuts as Insane (Intro) (Prod By KE On The Track), Money Callin (Prod By Speaker Knockerz), Any Many Miny Moe (Prod By Drumma Boy). Hit up Young Dolph's profile page for the latest info, news, songs, and mixtapes. Check out Young Dolph's Twitter.